﻿ Air Force Museum Theatre - Ohio. Find It Here. The Museum lobby is where you will find out Giant Screen Digital Theatre. 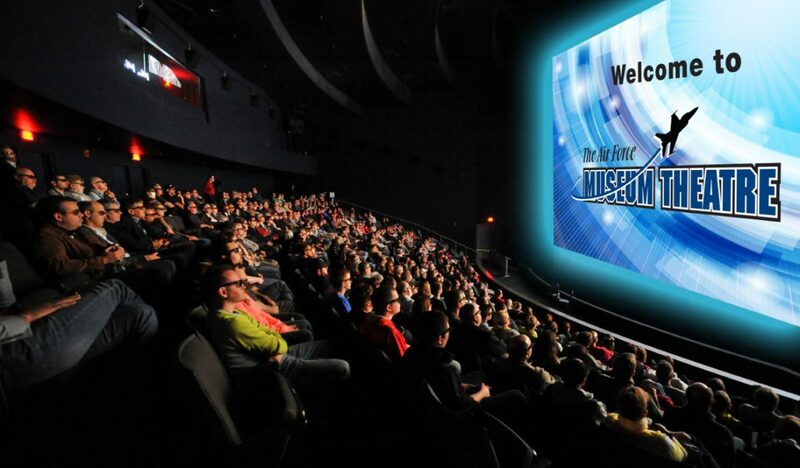 Our renovated theatre features an 80-foot-wide screen with clear bright images in either 2D or 3D from our Barco projectors.Interactive Flight Simulators- Utilizing state-of-the-art motion control and high performance digital flat panel technology, the I?360 immerses riders in realism. It is a fully interactive and intensely fun experience where a pilot and gunner can engage in simulated air combat via individual joystick controls. The I-360 pitches up and down and can roll 360-degrees on command, making each action-packed mission a blast!Movie Ride- The Movie Ride has been designed with families in mind. Capable of seating up to 12 people at once, this motion simulator can take you through the furthest regions of outer-space, a tornado, through aviation history, or flying through the air in the Red Baron. There are five different rides to choose from. Virtual Reality Transporter- The Pulseworks VR Transporter is an innovative multimedia motion experience featuring exciting new technology to take patrons on an exclusive Space Walk on the ISS. Virtual reality technology allows patrons to see in all directions within a 3D world via high-tech goggles. Pulseworks has coupled amazing visuals with its state-of-the-art motion delivery systems and 4D-effects to create a truly immersive and sensory experience.Remember to order your personalized Dog Tags and pick them up before you leave!